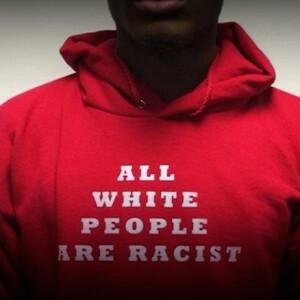 Anti-white indoctrination is taking a front seat in today’s universities and nowhere is it more transparent than the anti-whiteness courses popping up at colleges across the country where students are learning that white men created racism to maintain power. The course outline maintains white people must take responsibility for and destroy white supremacy. Students will learn how they consciously and unconsciously perpetuate “institutional racism” and how this effects “communities of color” and “oppresses white folks.” “Institutional racism” is merely a paradigm of the social justice warrior that racism is inherent in all whites in America and is brought on by white privilege and white supremacy. As an added bonus, these students will also learn what it’s like to be “#woke” and ponder the journal Race Traitor’s maxim that “treason to whiteness is loyalty to humanity.” This is also the publication that calls Jews “Nazis” and “Zionists” and claims the term “white anti-racist” is an oxymoron. Portland Community College (PCC) has designated April, “Whiteness History Month.” This is a 30-day “educational project,” not to be confused with February’s Black History Month. Whiteness History Month is not a celebration of our country’s white people and their labors, sacrifices and accomplishments, but instead a beat-down on the perceived inherent “benefits” and advantages of being white. Evidently, classes meant to demean and ridicule an entire race of people in a classroom is one of the many benefits of being white. This anti-white tirade sweeping our school system is not confined to upper education. The elite Bank Street School for Children on New York’s Upper West Side was teaching kids as young as 6-years-old that white people are born racist and they should feel guilty for benefitting from “white privilege.” Not all parents were falling for it and complaints were lodged that white and black students were separated and whites were being taught they should feel badly about their “whiteness,” whereas the colored children were taught to feel proud and were rewarded for their race. The Director of Diversity at Bank Street School, Anshu Wahi (pictured here), whom parents called, “exceptionally racist,” left six months after the New York Post ran a story on what was happening. Under Bank Street’s now-defunct program, “Racial Justice and Advocacy,” parents were complaining their children were being indoctrinated into thinking that systemic racism exists and they (the children) were part of the problem and must hold themselves accountable for acts of racism that are even committed by others. This elitist propaganda has not only been limited to the Bank Street School but has infiltrated a number of leading private schools, including, Riverdale Country School, Brooklyn Friends School, The Cathedral School, The Calhoun School, Ethical Culture Fieldston School, Little Red School House and Elisabeth Irwin High School. The system of education in America seems to be getting away with indoctrinating and brainwashing the children of this country with leftist propaganda and turning out something akin to Stepford Students. In celebration of their complete brainwashing into this anti-white racist propaganda, some students at Pomona College have started a club, titled, “We’ve Got Work To Do: White People for Deconstructing Whiteness.” These Stepford Students are working on owning their racism, deconstructing their Whiteness and engaging with other robotic believers in dismantling White Supremacy. It is one of these “5C’s” Southern California schools, Scripps College, which has earned the title of The Most Racist College in America, according to FrontPage Magazine. Upon entry, freshmen at this all-female college are told that white people are worthy of hatred and no one should feel bad for hating them. The other four colleges in the “5C’s” or (five members of Claremont College) are Pomona, Claremont McKenna, Harvey Mudd, and Pitzer. All five undergraduate colleges have an anti-white racist group called, “The 5C Students of Color Alliance.” This discriminatory group is calling for segregated “safe spaces” which would be off-limits to white students. All is not lost as there’s a glimmer of hope, inspiration and courage coming from the other side of the campus equation. Not all students are falling for the brainwashing tactics of their leftist indoctrinators and peers, as seen with some of the students’ and parents’ reactions. Some of these kids have good, solid heads on their shoulders and are capable of coming to their own conclusions based on their own critical thinking processes. These are not the easily manipulated robo-students who act like sponges in a sea of putrid slush, but the young men and women who are speaking out against the leftist propaganda and calling it out for what it is.